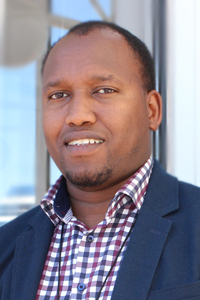 Rama Ngenzebuke, from Burundi and currently studying at the European Center for Advanced Research in Economics and Statistics, was at UNU-WIDER for three months, working on his PhD topic 'Intra-household allocations, gender and economic development'. During the internship, I worked on the last research paper of my PhD dissertation, which I also presented at an internal seminar. Additionally, I worked on some of my other research papers, and had the opportunity to present them as well. The working environment supported multi-tasking and the three months of my internship were some of the most productive in the course of my PhD research.. Yes indeed, during my internship, I had the opportunity to connect with researchers from UNU-WIDER as well as with researchers outside the Institute. Credit for this goes particularly my mentor Carla Canelas and the PhD program coordinator Yoko Akachi, I was also able to network during various events, such as the HECER-WIDER seminars and ‘Human capital and growth’ conference, in which I participated. This was definitely very good for my professional network building. The best part of my internship at WIDER was definitely the moments I spent brainstorming with my mentor, the PhD program coordinator, other research fellows, as well as with other PhD interns. The internship experience gave me the opportunity to meet, network, and connect with very interesting people with whom I share the same research interests, and commitment to development issues in developing countries, particularly in Africa.